MODELING the BC&G in "S"
The decision to model the BC&G as prototypically accurate as possible was made early. 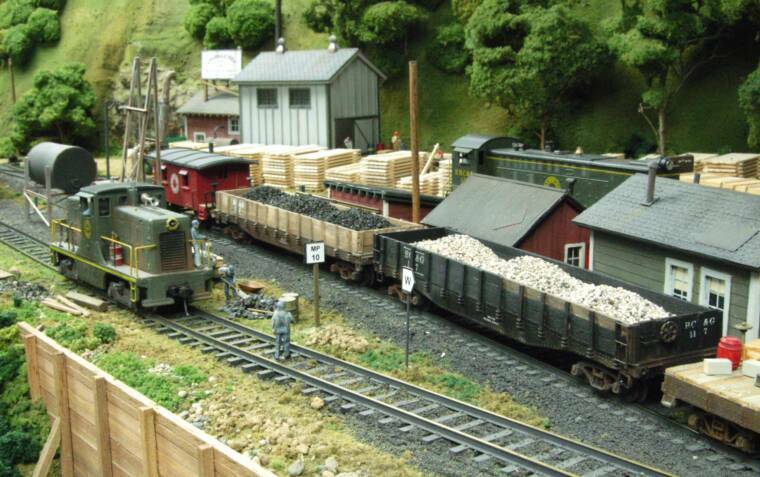 I wanted anyone familiar with the real railroad to easily recognize the terrain, buildings and trains on the layout. 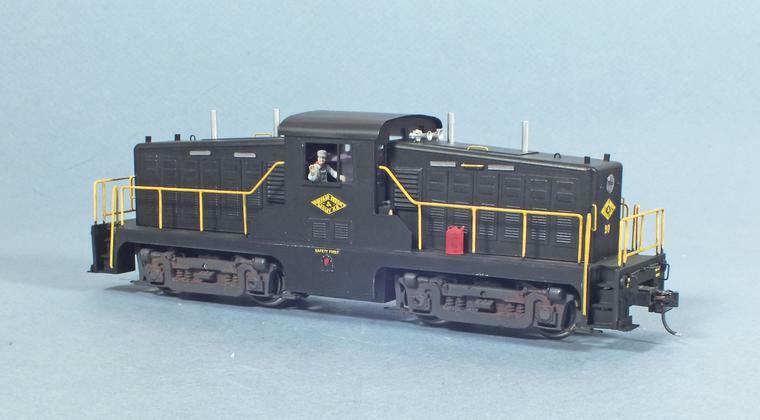 One of the reasons the BC&G is an ideal candidate for modeling is that it was relatively small...not many locomotives, a small roster of rolling stock and not many towns were served. Eventually I decided to try to represent every piece of rolling stock on hand during the period I model, the late 1950s. Below are shown all of the BC&G and ERC&L rolling stock that I have modeled and a brief description of how the model was made. When a piece came from a particular manufacturer, there is a link to that manufacturers website. 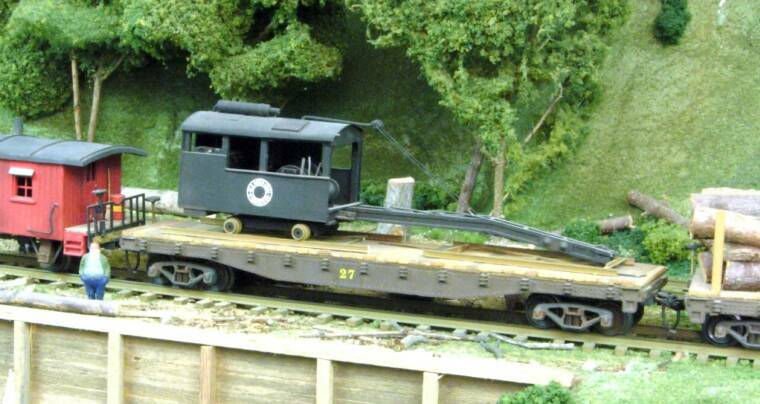 Links are provided on this page to other pages on the site containing prototype photos of all the rolling stock models. 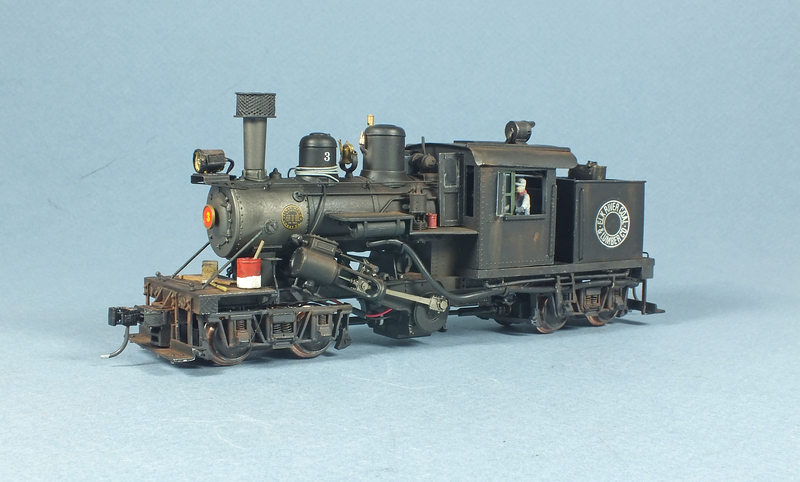 BC&G Combine X-6 was modeled by splicing together halves of two American Flyer heavyweight combines. The baggage doors and truss rods were scratch built. 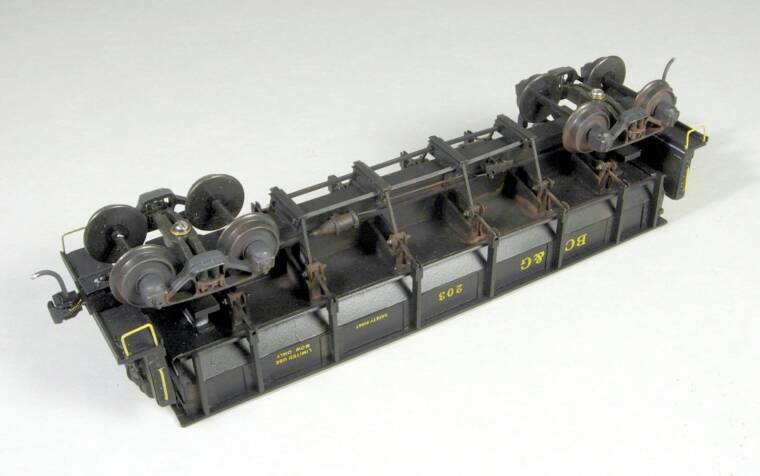 American Models passenger car trucks were installed. The interior has seats from an unknown manufacturer. 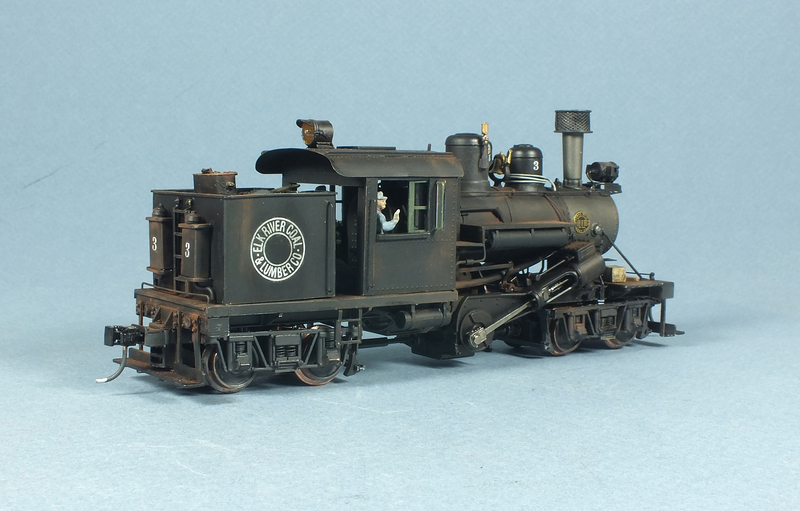 The model was painted and lettered with custom decals. All three of the BC&G's Consolidations were modeled from the excellent S HELPER SERVICE Consolidations. Prototypically correct details were added and appliances were relocated to more accurately represent the specific prototype. 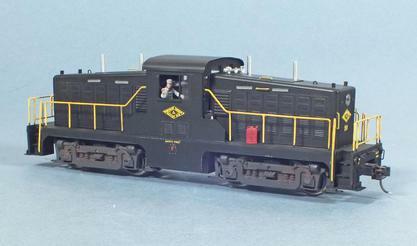 Freelanced modifications to the coal bunkers on the tenders were made on each engine to provide some visual variety. An airtank was added to the pilot of each engine, as was the BC&G's practice. Appropriate number plates were fitted and the engines were repainted and lettered with custom decals. NWSL gear box. 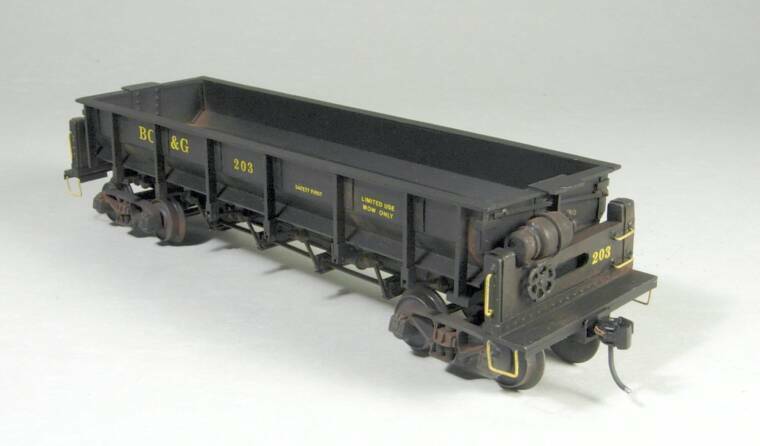 The front truck is a freight car truck with modified side frames. Power is picked up through all six wheels. The unit is equipped with the Soundtraxx Galloping Goose sound module. 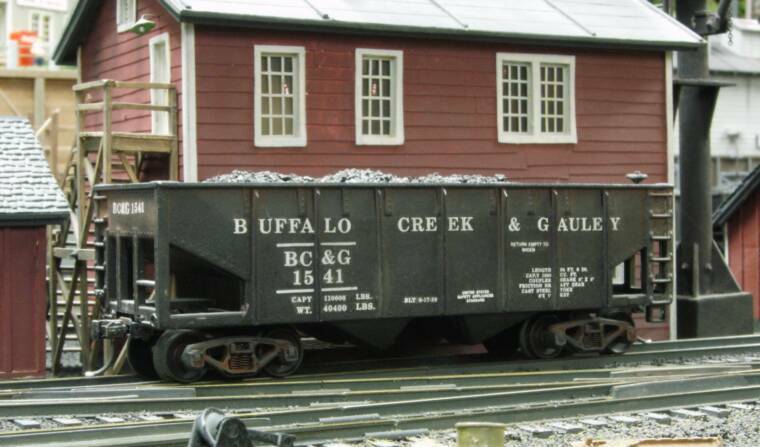 At one point the BC&G had 900 'home road' hoppers. 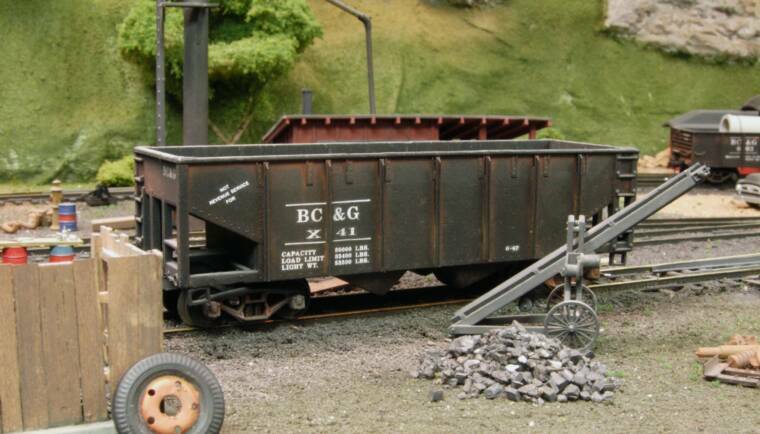 I have three different versions of BC&G hoppers on my layout. 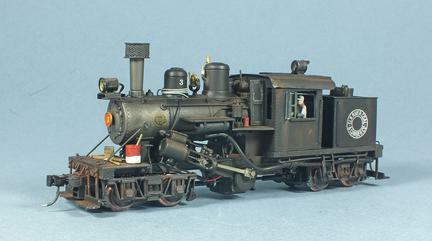 The first two (left photos below) were made by modifiying American Flyer 2-bay hoppers. I added vertical ribs using Plastruct "T" stock, replacing the corner steps with more realistic open steps and added brake cylinders and rigging. 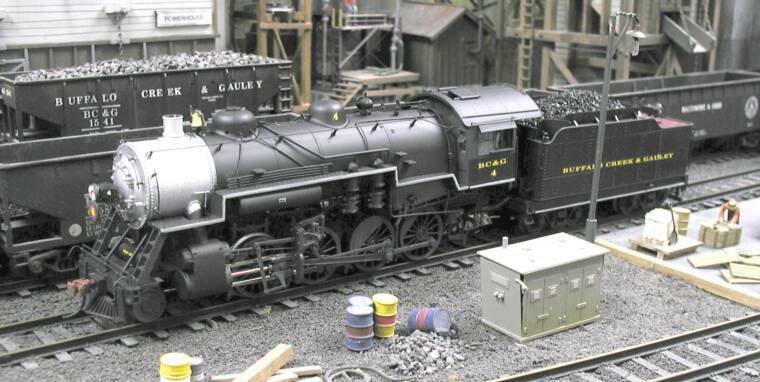 One (#1541) is lettered in the original 'full' Buffalo Creek & Gauley lettering. The second (X41) is lettered the way six of the cars appeared when in MOW service in the last years of the railroad's operation. In reality, X41 was probably the same car as 1541, just repainted for MOW service. In 2008, S HELPER SERVICE introduced a BC&G hopper in four road numbers. 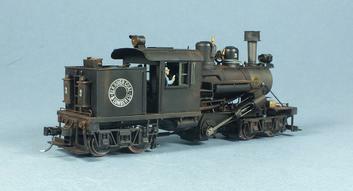 It is a beautiful model with exceptional detail throughout and correct BC&G lettering. 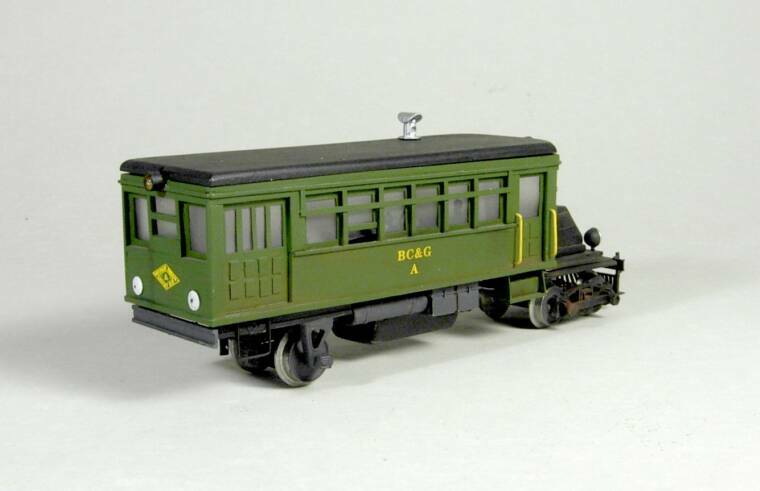 For anyone interested in modeling the BC&G, this car is for you! 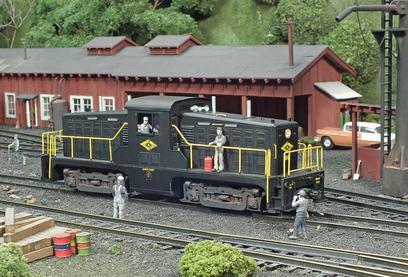 A string of them on a 1930s era layout would look great and at least six are needed on a 1950s era layout in MOW service. One of the more intersting cars owned by the ERC&L company were the Clark side-dump gondolas. These gons emptied by tipping to the side with the body being tipped to one side or the other by large air cylinders on each end. The ERC&L had 20 or more of these in gob service and then in the late 1950s about six went into MOW service on the BC&G after gob began being moved by truck. It appears that 3 were in service when the road closed. There are no S scale models of this car (although American Flyer built a similar, though crude, automatic dumping car) so I scratch built two of the cars, numbers 202 and 203. I obtained a copy of a 1917 manufacturers general arrangement drawing to guide the construction. 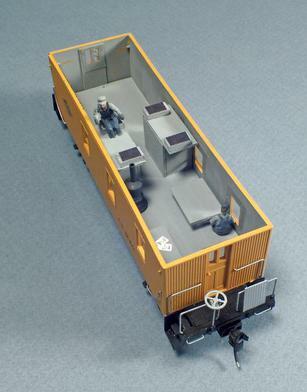 The cars are made from styrene and are fitted with S HELPER SERVICE excellent free-rolling trucks. The air cylinders on the ends are 'O' scale items. 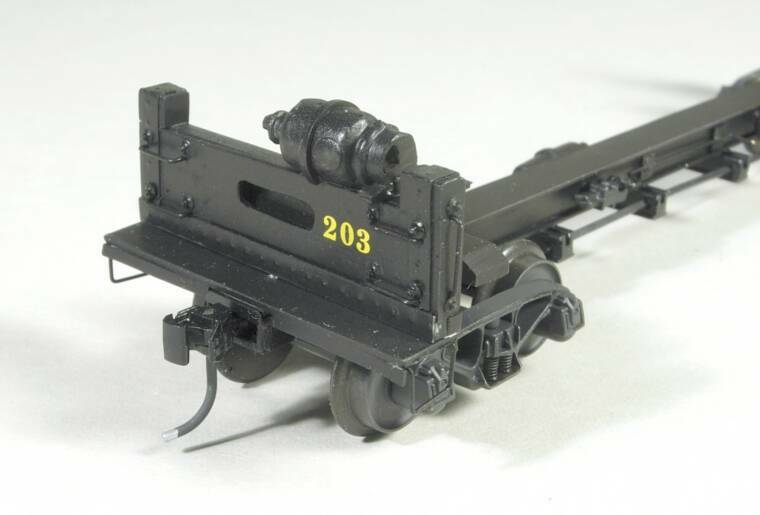 This model of #20 features a body scratchbuilt of styrene fitted to a heavily reworked chassis from a Steam Depot GE 44-tonner. The model is fitted with a Tsunami sound decoder. 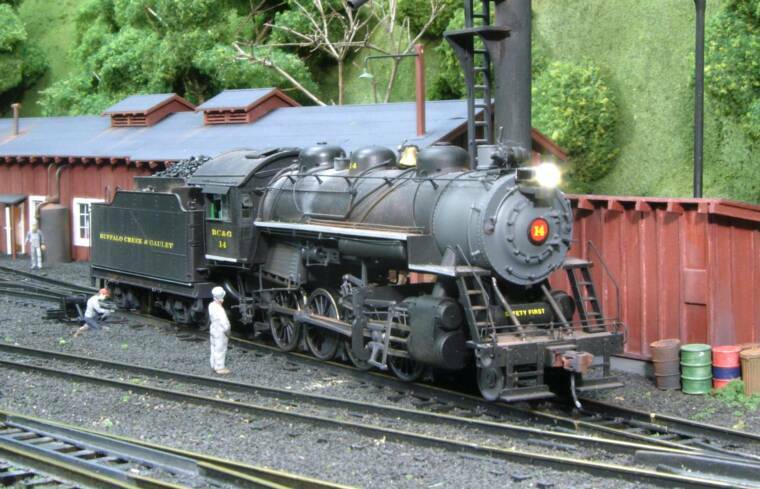 An article describing how the model was built appears in the Sept/Oct 2016 issue of Narrow Gauge and Shortline Gazette..
BC&G #14 was originally a NYC 0-8-0 switcher and consequently was built with two sand domes. I added a second one to the stock S Helper Service model to create my #14 along with the prototype's front handrails. The generator was also moved to the correct position in front of the stack. 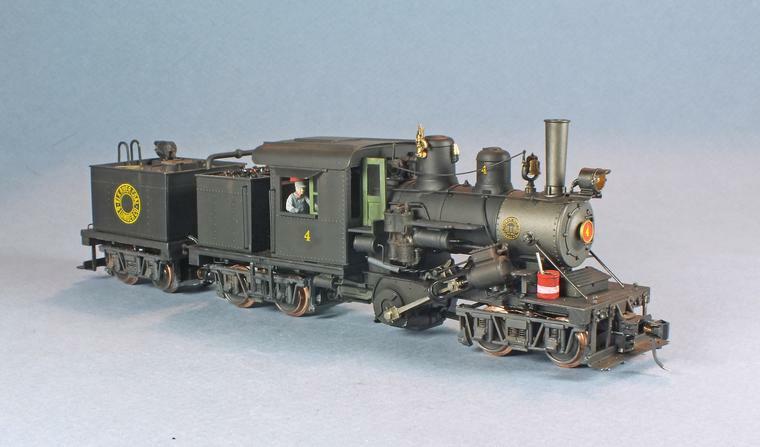 Fortunately, the SHS engines came with both center and high mounted headlights. I used both road and switcher pilots to further vary the look of the engines. 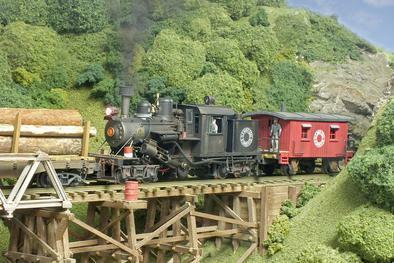 This model of C-1 was built from a Lake Junction Models kit. The model was painted to match C-1 the way she appeared in the 1962 photo above, lightly weathered with chalk. In order to keep the model from appearing 'empty', a simple interior was included. 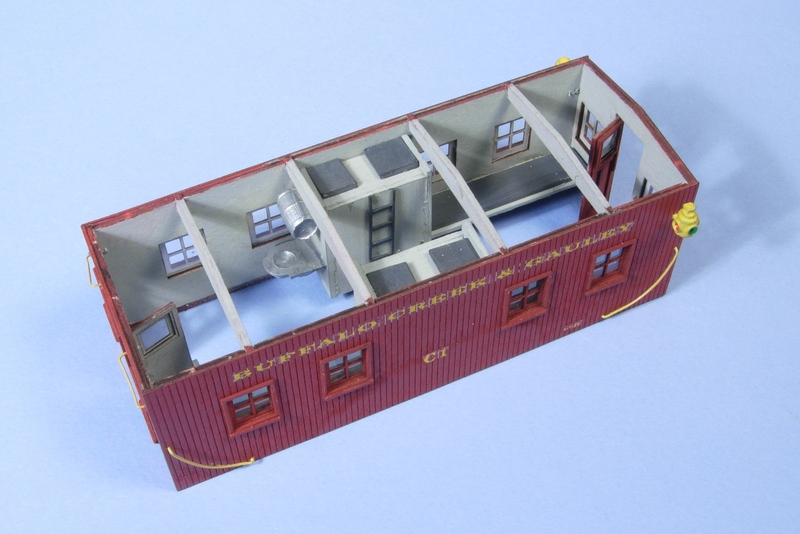 The interior elements modeled include a sink, elevated water tank, conductor's desk, center cabinets and elevated seats, coal stove, coal bucket, bench and miscellaneous supplies. This model of crane X-5 was scratchbuilt from styrene, brass, cardstock and scrapbox parts with a few cast details, like the generator on the roof, thrown in. 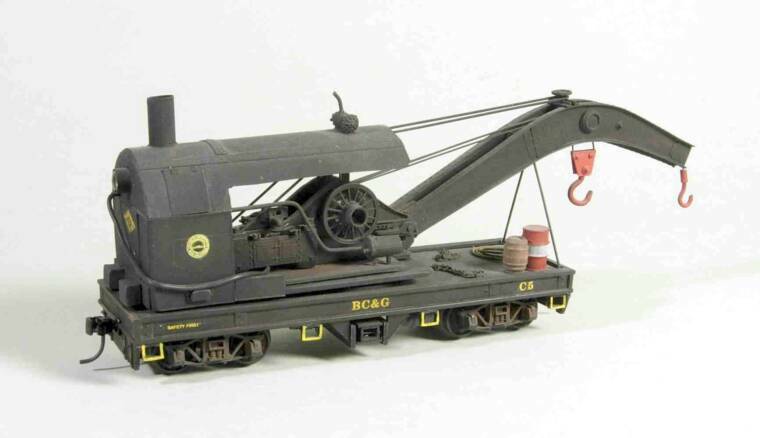 The crane swivels on the chassis which started as an American Flyer caboose chassis. 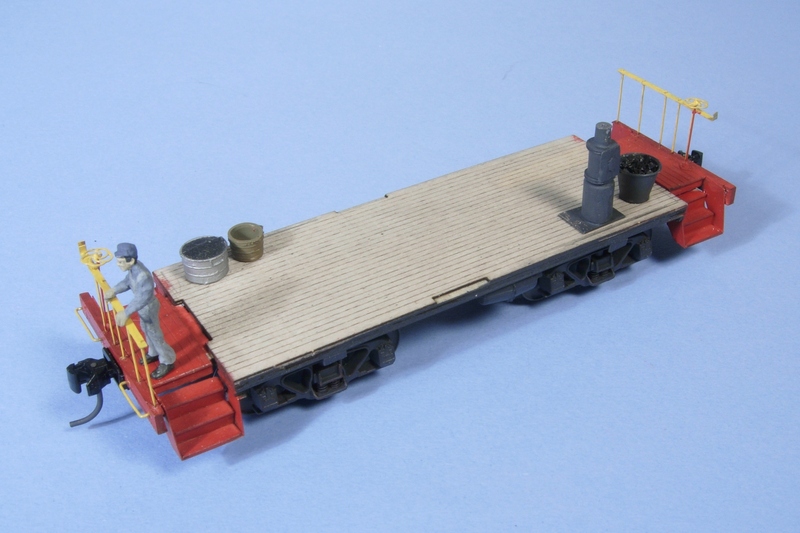 Crane tender flat #108 was built from an American Flyer flat car with wood decking and sides added. The water tank is made from a PVC pipe wrapped in .005 styrene with rivet detail added. 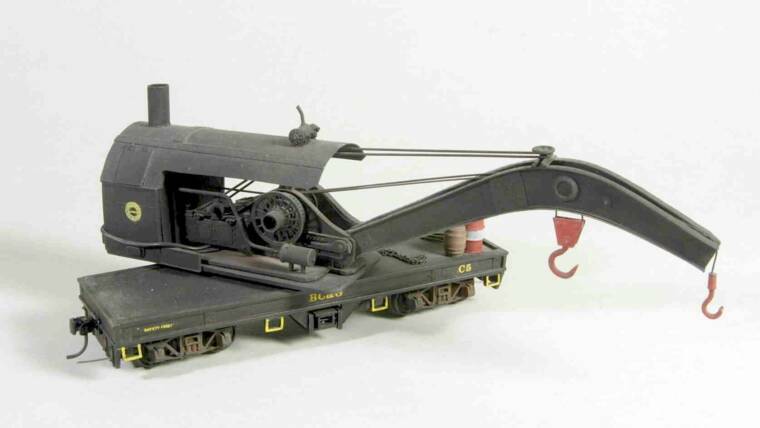 The American log loader was scratchbuilt from styrene and brass. It includes some interior detail. The double-flanged wheels are from N gauge cars. The boom can be raised to display the crane in working position or lowered, as seen here, for transport. This model of the ERC&L four wheel logging caboose was scratchbuilt with the exception of the car's ends and steps. They are from an old Flyer caboose. The sides are scribed styrene and the roof is brass. The axle journals are parts of American Flyer trucks turned 90 degrees with braces added per the prototype photos. 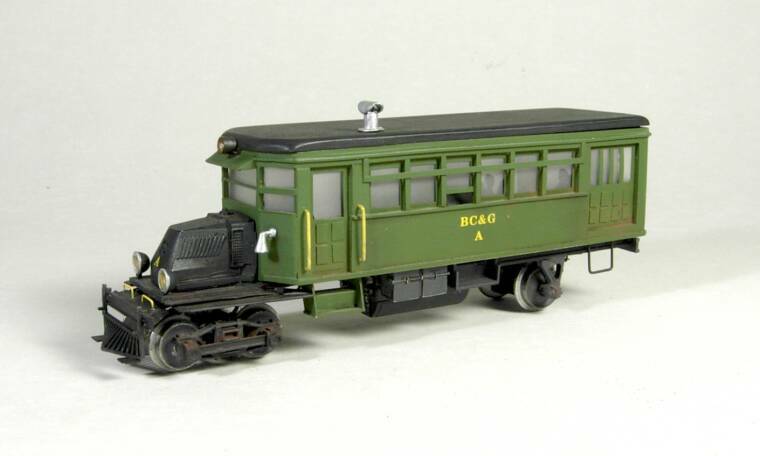 BC&G coaches #16 and #17 were built by shortening two American Models heavyweight combines and baggage cars and adding circular windows. While not exact representations of the two prototypes, they capture their character. One of the cars is visible in the photo on the right between X-6 and the caboose. 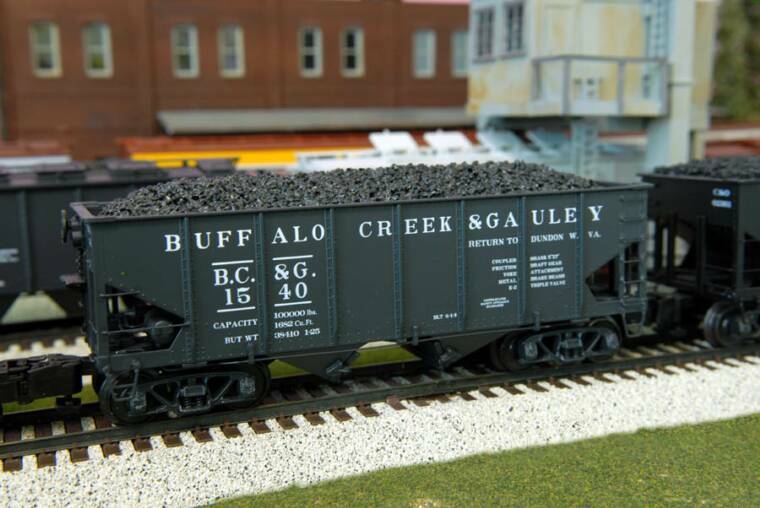 Models of BC&G woodside gondolas #116 and #117 were built by adding wood sides and other details to American Flyer flatcar bodies. Details include individual grab irons, new steps, brake wheels, Ace trucks and Kadee couplers. 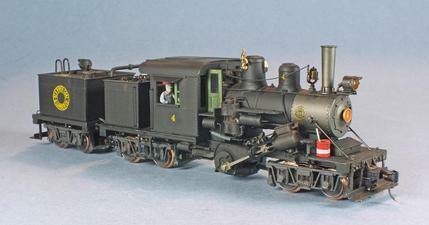 #117 is modeled in a freshly painted condition while #116 is heavily weathered. The grab irons were fabricated from .020 wire and NBW castings. The steps are 'slices' from a piece of square plastic tubing. Ace bolsters were used to mount the Ace trucks. 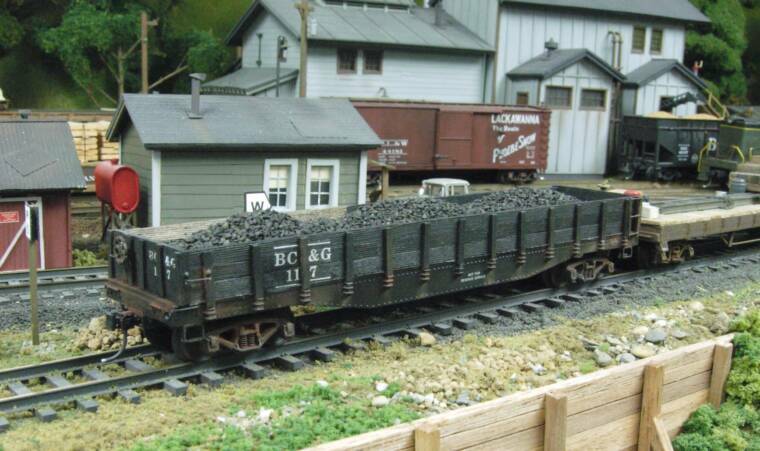 The coal and gravel loads are removable and the floors of the cars are detailed. The representation of the interior of C-1 is visible through the open end doors. 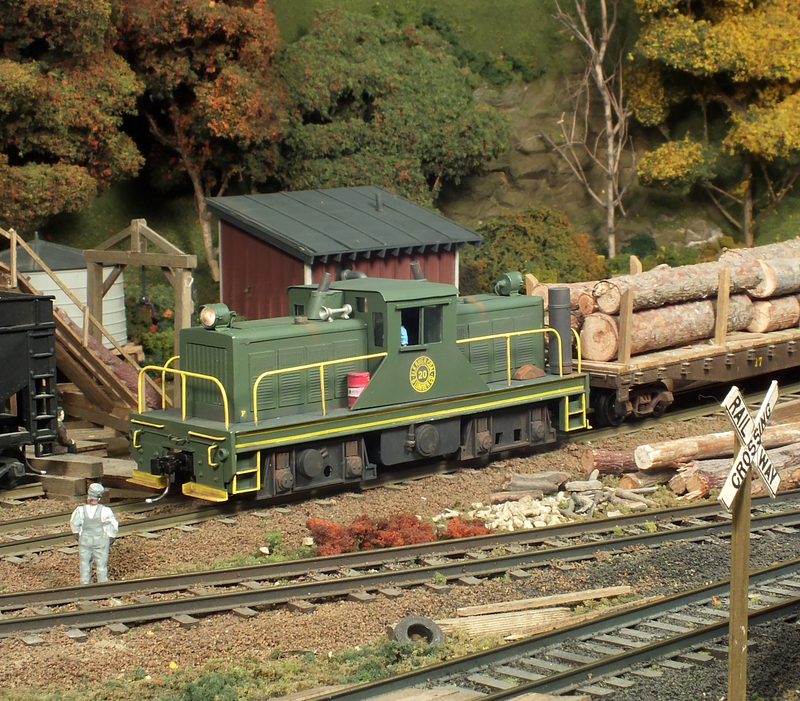 I built an operating model of Climax #3 starting with a Bachmann On30 Climax, increasing the gauge and scratchbuilding a new cab and fuel bunker. Appliances and detail parts are from several sources. The engine has a Soundtraxx Tsunami "Light Logging" decoder. 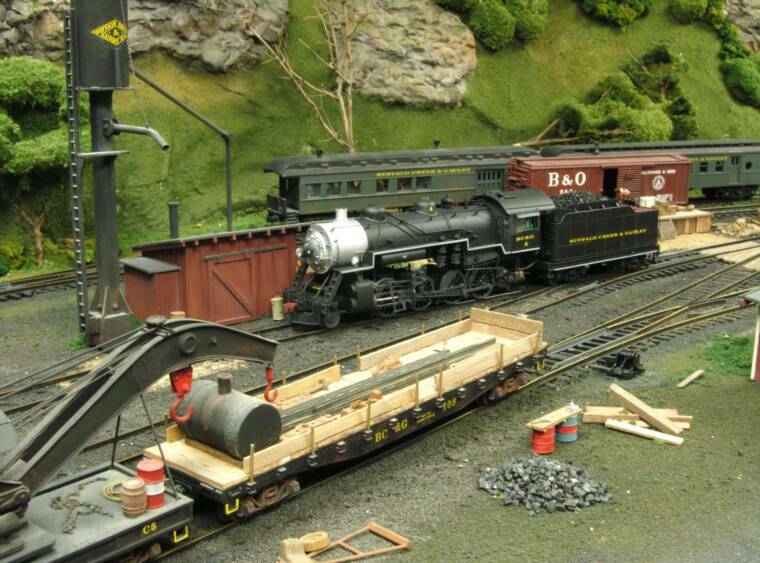 The engine is a favorite among crews that operation on the BC&G layout! 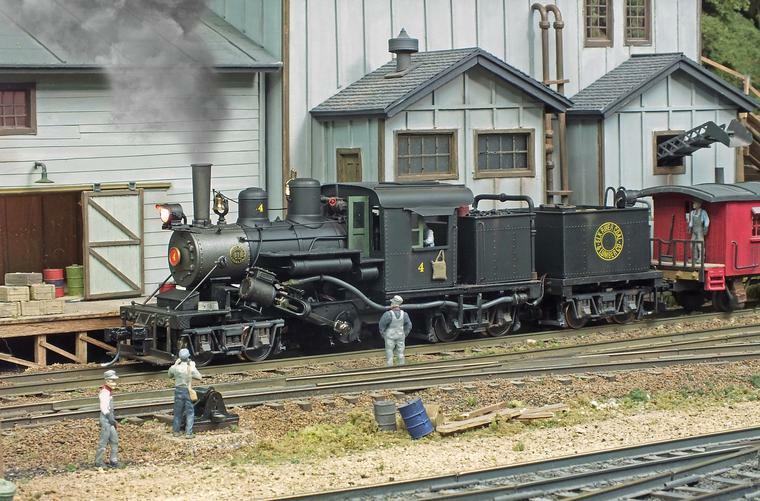 The detailed explanation of how I built this model appeared in an article entitled “Converting An On30 Bachmann Climax To S Gauge Elk River Coal & Lumber Company Climax #3” in the May/June 2015 issue of Narrow Gauge and Shortline Gazette. The image on the right shows the styrene body before painting. The louvers are Archer Fine Transfer decals. 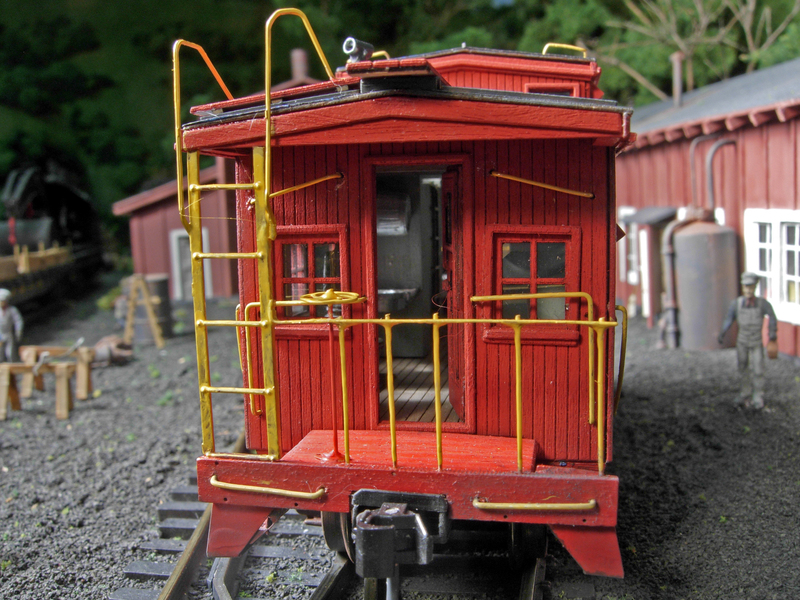 The handrails were scratchbuilt from brass wire. Similar construction techniques were used on the ERC&L Plymouth above. 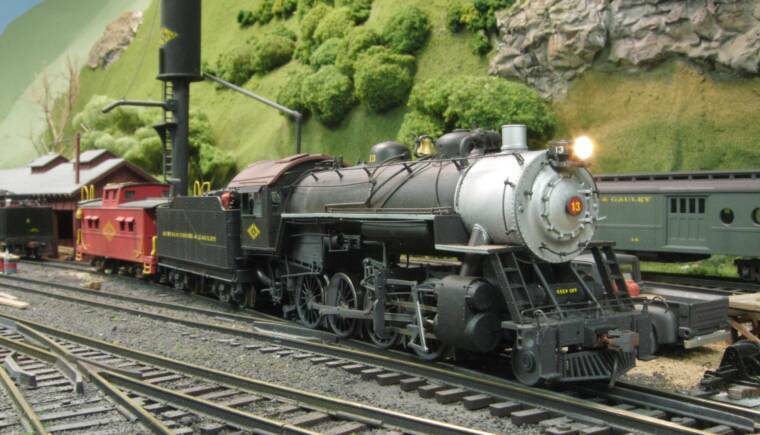 The Majestic Mining Company leased several locomotives from the B&O. RS-1 #9185 was one of them. 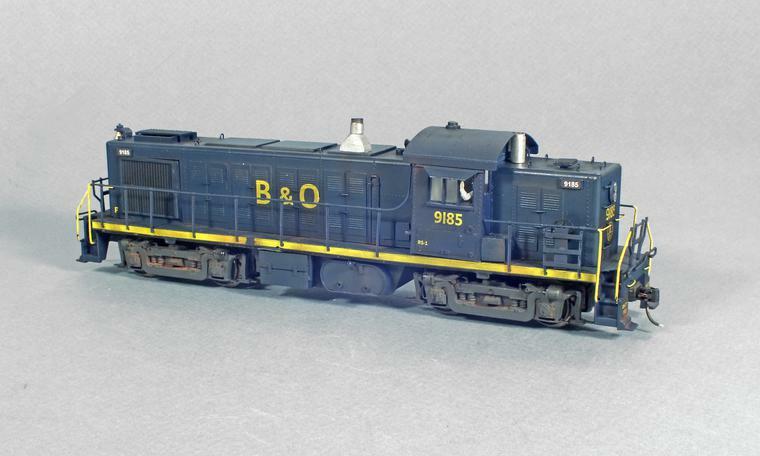 This engine was obtained after the merger with C&O and was one of only three RS-1s to ever wear the B&O livery. 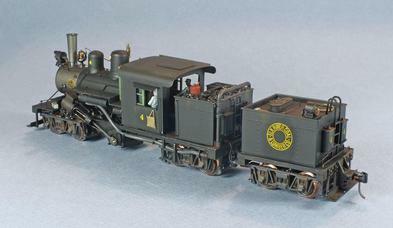 The shell of the locomotive was scratchbuilt from sytrene in a manner similar to Whitcomb #20 above. 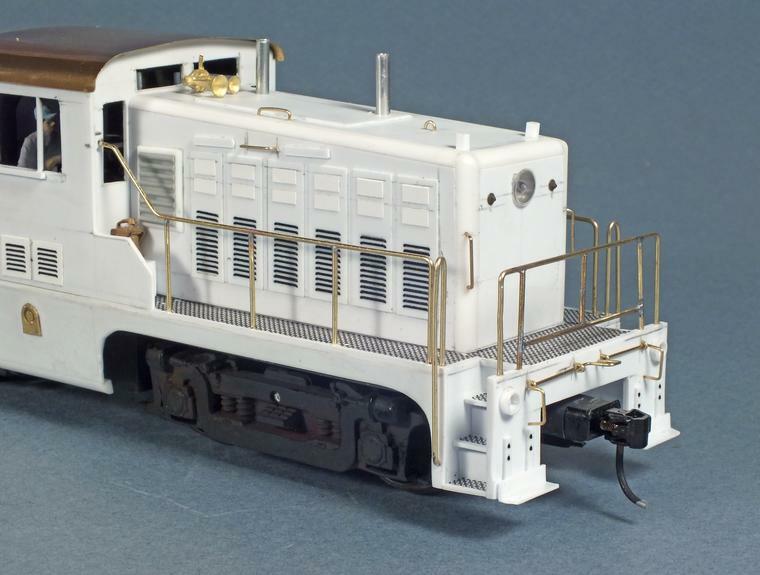 The body sits on an American Models RS-3 chassis and is fitted with a Tsunami DCC sound decoder. 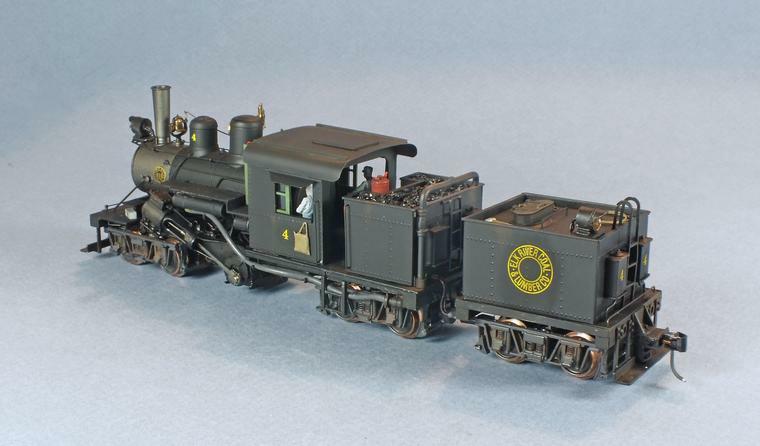 A description of the model appeared in “Building B&O Alco RS-1 - Twice” in the May 2015 Railroad Model Craftsman. 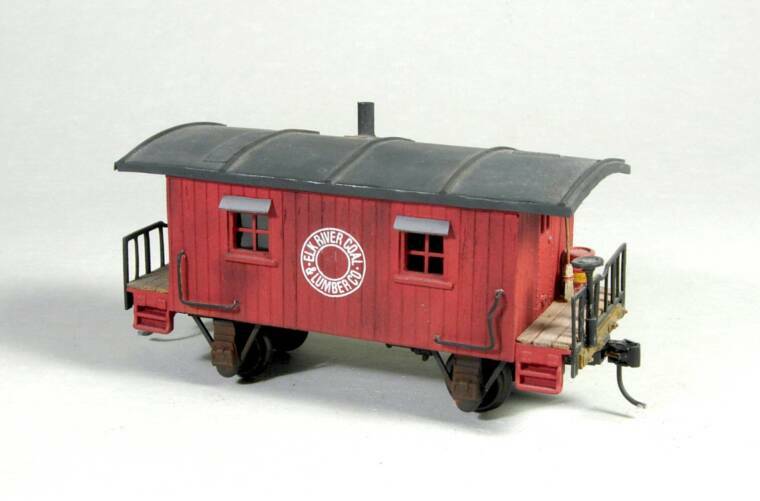 This model was kitbashed from an American Models off-center cupola caboose. 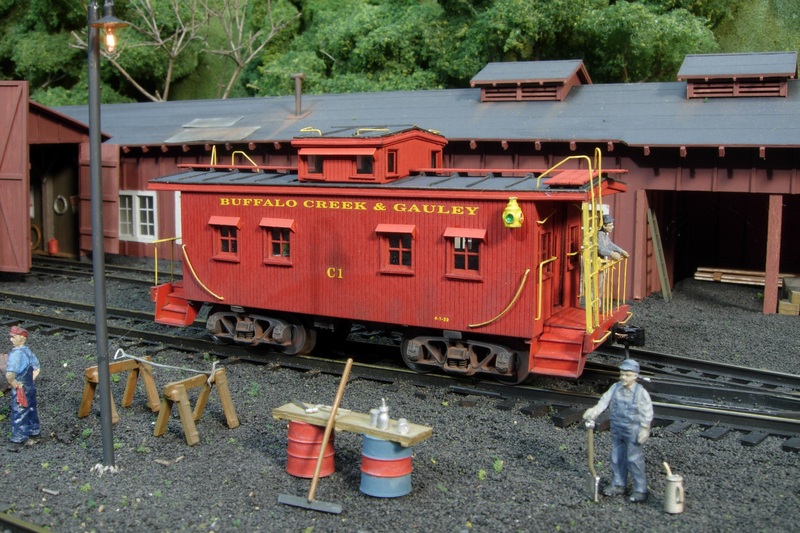 The prototype was an ex-PM caboose and was owned by the Majestic Mining Company but lettered for the BC&G.. A full interior was built into the model. 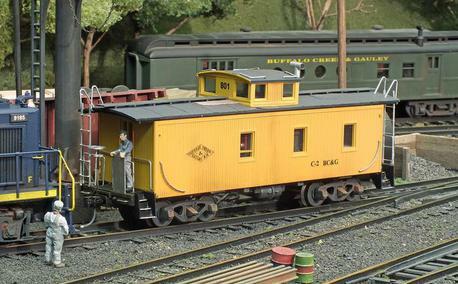 An article on this kit bash project entitled "Modeling BC&G Caboose C-2”, appeared in the September 2016 Railroad Model Craftsman.